Earn a $25 gift card, just for submitting your fun or witty comment on the photo shown here. Enter your caption in the comments section below to play. Be sure to include your name to identify yourself as the author. We'll pick our favorite each week and display the winning caption and author below. "I have 'a thirst' for Uptown!" Congratulations, Lonna Sue! Please email us at frontdeskuptowngrill@yahoo.com to claim your prize. 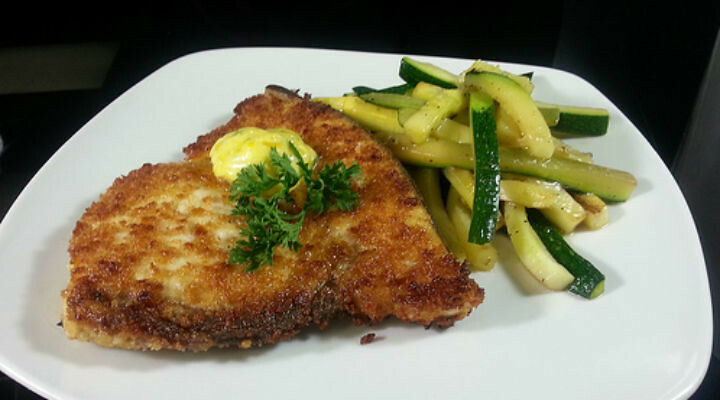 This week, we will be featuring one of our seafood favorites, panko crusted swordfish. Not only has this dish been a favorite of mine, but it also seems to fly out the door when our customers see it on the seafood menu. 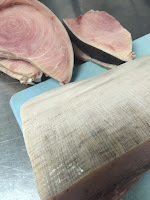 Swordfish - a firm and succulent, meaty fish - has a mild flavor and a texture that can be compared to that of tuna. We take our 10 ounce steak and lightly crust it with panko bread crumbs and pan fry it in grape seed oil. The entree is then finished with an avocado lime sweet butter with fresh cilantro. The grape seed oil used in preparing our swordfish has health benefits of its own. Studies show that it aids in anti-inflammatory, anti-oxidant, anti-histamine, anti-aging, anti-allergic, antimicrobial and adaptogenic activity. Put them together and you have a light, healthy combination. Although we bring in a handful of full loins and cut them into 10 ounce steaks, this special does not last long. So make sure you stop out this week to get your chance at this healthy and flavorful dish! Next week could not come soon enough. The anticipation is almost like Christmas. It's going to be the busiest week in the Uptown Playlist Theater's history. 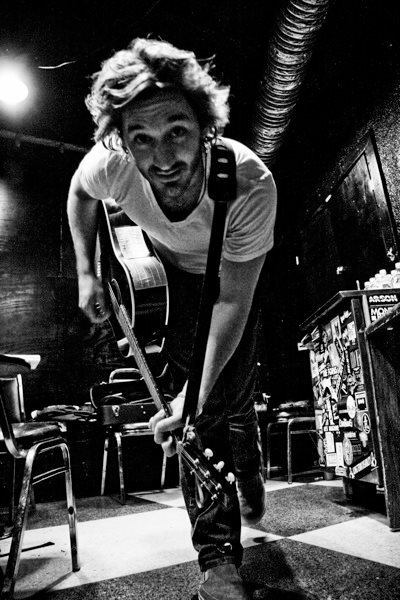 Wednesday, April 6th kicks off with one of the original alumni and possibly the most popular artist: Griffin House. As ray mentioned last week, for both of the Griffin House shows, Griffin has added Chris Farney. He plays drums and bass at the same time and also mandolin and guitar. Chris appeared with Griffin here several years ago. Tickets for Griffin's Wednesday show are still available here. But if that wasn't enough he is also slated to perform a sold out show on Saturday, April 9th as well. But why stop with just Griffin House? 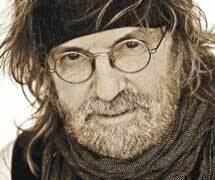 On Friday, April 8th, Ray Wylie Hubbard swings through town for a sold-out, one night only show with a trio that has never been featured here before! His son Lucas is performing with him as he did on their appearance on Late Night with David Letterman. There really isn't any other way to celebrate the 10th anniversary of the Playlist Theater than with a packed weekend of music. We can tell you now that this place is going to be rockin' all week. Don't forget that not many tickets are left for Bill Kirchen on Friday April 13. This will be the last show for about a month before Paul Cebar comes in on May 21st and the Dustbowl Revival romps through on Wednesday June 1st. For those of you who missed out on a past performer Margo Price and the Pricetags, don't fret. On Saturday April 9th, Margo makes her debut performance on Saturday Night Live as the special musical performance. The show will be hosted by Academy Award winner Russell Crowe. But that's not it, Margo's song "Hurtin'" was featured in the New York Time's "25 Songs That Tell Us Where Music Is Going." The article can be found here, with Margo being featured at #7. She also recently made an appearance on the "Late Show with Stephen Colbert." This week's gourmet beef burger is served on a fresh, housemade bun and topped with roasted poblano peppers. 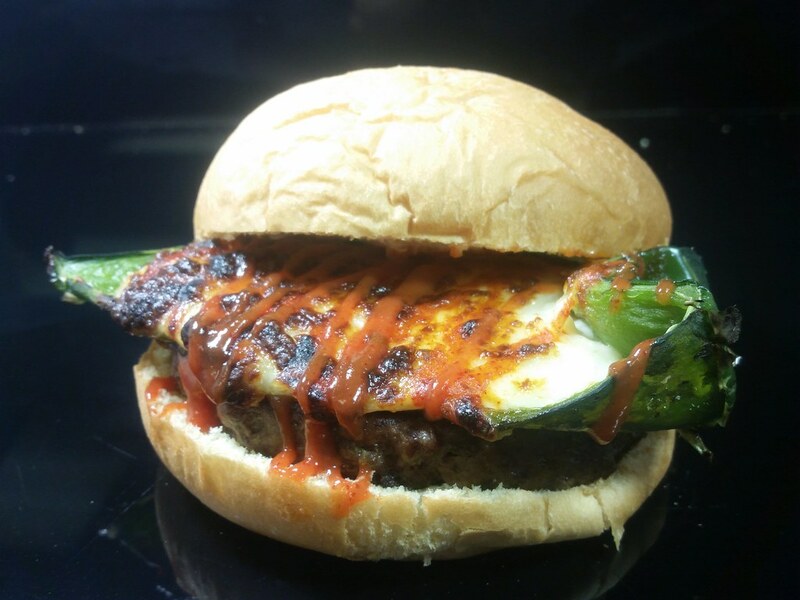 We stuff our peppers with roasted del caribe cheese before finishing them off with a drizzle of sriracha sauce. We thought we'd reach out to our newsletter subscribers in hopes of finding new staff members to join our team. As we approach the upcoming summer months, business will increase 20-30 percent on the average. Believe it or not, tourism has become a big part of business in LaSalle County. Ray will tell you that when he opened the doors back in 1985, he would not have - in his wildest dreams - relied on tourism as a source of landing customers. Back then, the Uptown relied heavily on local clientele. But, things have changed. Starved Rock attracts over 2 million visitors a year, and tourism has become an ever increasing part of our customer base. Despite that increase in tourism dollars, LaSalle County still has the highest unemployment rate in all of central and Northern Illinois. Is it because we have become so seasonal? 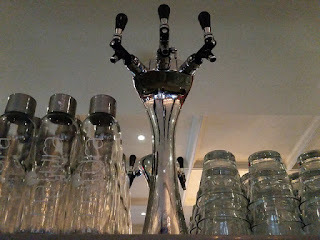 Who knows what the reason is. Either way, we thought we'd take the chance to spread the word that we are looking to lower that unemployment percentage as summer approaches. Now that visitors flock to our area each season, Downtown LaSalle has become a destination. And with that, an increase in traffic and business for everyone. The result means we're in need of an increased number of staff members. It takes a small village to run a restaurant! Host, bartender, server, busser, dishwasher or cook... whatever your specialty, keep us in mind! Many of you might think, "Oh, well I can only work 1 or 2 days a week," or "I'm only free on the weekends." Some of you might just want to find a way to get rid of your kids a few nights a week during the summer! Whatever your story, it's okay! It takes all kinds of availability and people to put a schedule together. We have some staff members that work just weekends, some that work just days, some that work Friday, Tuesday and Thursday. Putting a schedule together is kind of like doing a giant puzzle every week, and you have to make the pieces fit just right. Whether you are looking for - full or part time - we probably have the hours to accommodate you. So, if you or anyone you know are interested in joining our team for the summer (or beyond), stop in and talk to us. We are newly remodeled and have perhaps the nicest facility in LaSalle County. We have been here for 30 years and plan on doing at least 30 more. We are always looking to add to and improve our staff. Whatever your availability might be... you could be the perfect fit!